You have probably already seen tinsel and garland in the aisles of your favorite department stores and may have even grumbled that it is “too soon!” But if you are a marketer, particularly for a retail brand, there is no time like the present to put a bow on your holiday strategy for this year. Social activations are becoming bigger and better parts of many brands’ holiday strategies. We’ve assembled a “Nice List” of standouts from the 2012 holiday season. Check it out for some social inspiration. A personal touch goes a long way. 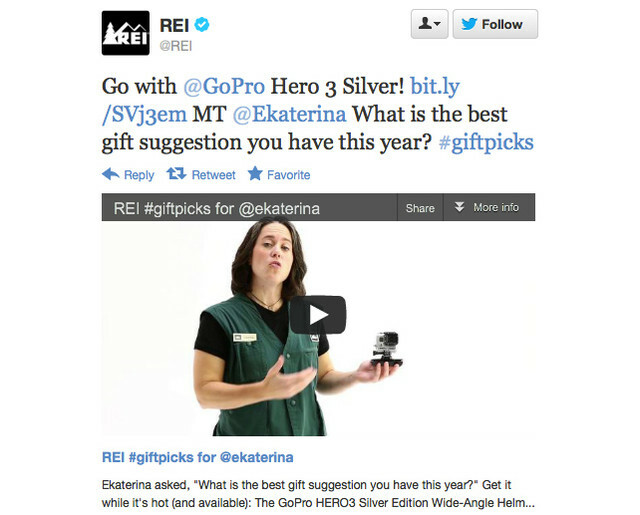 REI wowed with their #giftpicks campaign in 2012. REI called on their Green Vests—passionate in-store employees who are knowledgeable and helpful, to create real-time video responses to REI members asking for help buying gifts. The team shot about 90 custom videos for this campaign. Not only did the gesture deepen relationships between the brand and members receiving responses, referral traffic to REI’s site doubled. Want to read more about this campaign? Ekaterina Walter wrote a great recap last year. The holidays are a time to celebrate and look good doing it–whether you’re scoring facetime with your boss at the office holiday party, sitting around a feast with family, or ringing in the new year with your friends. 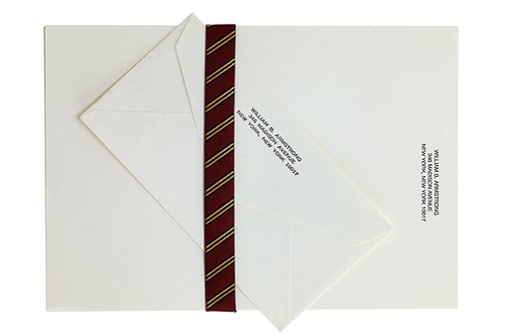 You might guess that Brooks Brothers, America’s original clothier, has your outfit covered. But did you know that they also provide scores of tips and tricks on how to navigate the holidays with style and ease? The Brooks Brothers blog, Of Rogues & Gentlemen, covered everything from creating a knockout charcuterie plate to writing the perfect thank you card last holiday season. The holidays are hectic. By providing useful lifestyle information, Brooks Brothers was able to create value for customers and stay top of mind, with something other than a sale. Invite People to Share their Wish List. 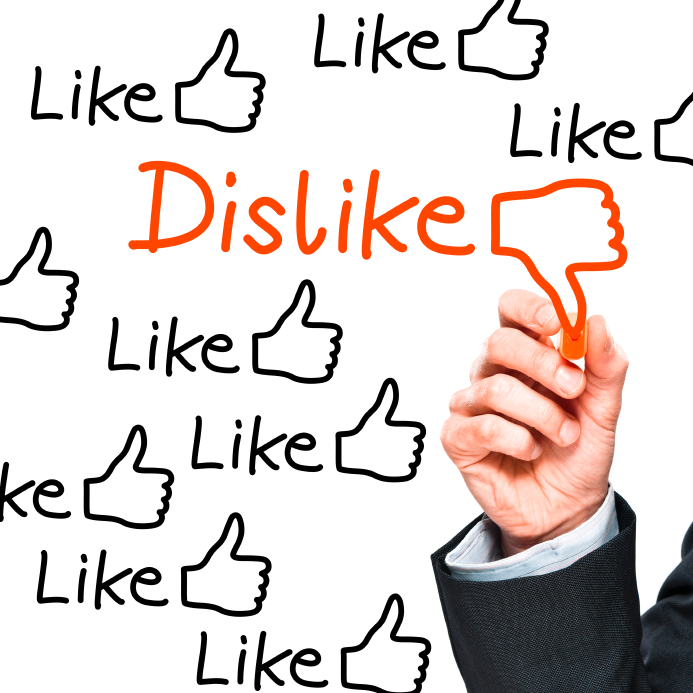 81% of U.S. Consumers are influenced by friends’ social media posts. Getting consumers to actively discuss preference for your brand’s goods or services is a powerful tool that can drive further awareness and preference. 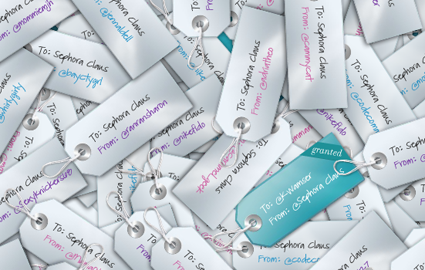 Last year, Sephora asked their twitter followers to tweet the Sephora products on their holiday wish lists to “@Sephora Claus” and granted the wishes of 30 users. The campaign garnered over 50,000 entries. The great interactive user experience allowed entrants to discover other wishes and engage with the campaign. 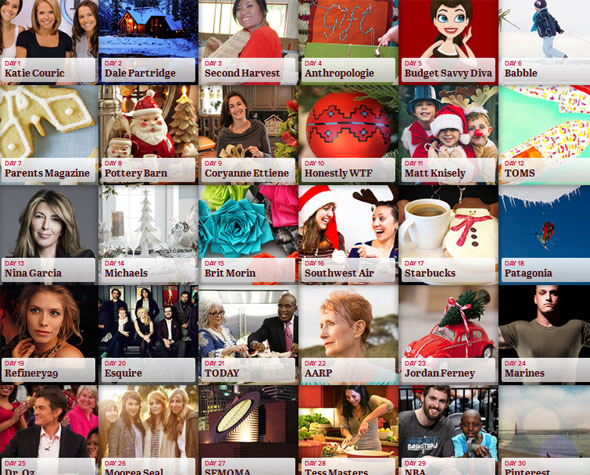 Many brands are tapping in to the visual, inspirational nature of Pinterest to stage their holiday social campaigns. Pinterest collaborated with people, businesses, non-profit organizations, and celebrities to reveal 30 holidays boards in an interactive calendar for their 30 Days of Pinspiration Campaign. 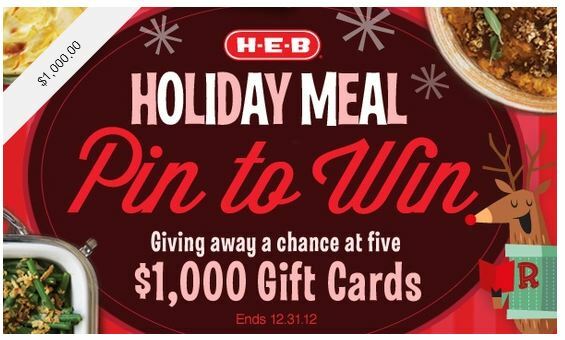 H-E-B, a Texas grocer, ran a Pin to Win campaign during the 2012 holiday season, asking customers to pin their favorite holiday meal ideas to a Pinterest board for a chance to win a $1000 gift card. It was a great way to start a conversation about holiday food traditions and get users engaged. Are there any other holiday campaigns that stood out to you last year? Shoot me a tweet at @cjdoman to discuss. Looking for ways to make your holiday campaign memorable this year? Check out this tip sheet for 5 Social Media Best Practices for Retail Brands. Nonprofit Solutions Conference: Get Ignited, Create Impact, Be Inspired. Social: IRL has been proud to invest in the regional nonprofit community, working with a group of sponsors and partners to host an ongoing series of social media for nonprofits workshops. To date over 800 nonprofits have participated in this free training opportunity. A valued partner in hosting workshop events in the Kansas City area has been Nonprofit Connect, a membership organization that links the nonprofit community to education, resources and networking, so organizations can more effectively achieve their missions. October 21-22, Nonprofit Connect will host their annual Nonprofit Solutions Conference. This two-day conference designed specifically for the nonprofit sector, offers a valuable opportunity to learn alongside passionate nonprofit professionals and community leaders who are looking for new ways to advance their missions and bring about change. The conference theme sums up today’s current nonprofit needs… get ignited, create impact, be inspired. Being familiar with many of the speakers on the two day agenda, and with the agenda covering many issues critical to continued growth and future success of nonprofit organizations, we highly recommend this opportunity to the many nonprofits we have connected with through our own workshop series, and to all nonprofits in the Midwest region. To view the full event agenda and lineup of speakers and experts, visit the event website. Register using enter discount code “NoSoCo-Feehan” and save $50. Expion’s third social business summit kicked off today in Raleigh NC, bringing together an impressive group of brands and agencies for a discussion focussed around the challenges and opportunities in managing social media programs. Expion will be posting recaps of key sessions here in their blog (they’ll be added as the event continues). To supplement that we’re sharing below a Storify recap of attendee tweets, edited to highlight key audience perspectives and takeaways. Earn It. Don’t Buy It – Ignite Social Media’s Jim Tobin How earned and owned social can save your brand money and create advocates without paying for them. 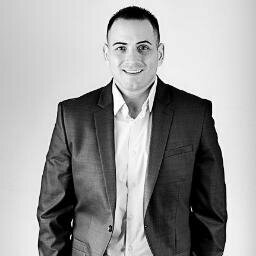 Your Brand, The Next Media Company – Edelman’s Michael Brito How organizations can evolve into a fully collaborative social business. Inside Social Enterprise – DoubleTree’s Diana Plazas, Group1 Automotive’s Sajeev Mehta, IBM’s Tina Williams, and Whitewave Foods’ Lori Anderson. Moderated by Expion’s Zena Weist How top brands are aligning the organization to operationalize social throughout the enterprise. Generation Z – Students from NC State, Duke, University of North Carolina, Wake Forest and Georgia Tech. Moderated by 360i’s Matt Wurst How Generation Zs interact with brands via social and what they think brands are doing right and wrong. Brand Advocacy – American Dental Association’s Bridget Houlihan, H&R Block’s Matt Staub, Jeep’s Vicki Carlini, 360i’s Matt Wurst Brands and agencies discuss how providing content suggestions to employees and customers assists with social selling and influencer marketing. Client Keynote – Mondelez International’s VP of Global Media and Consumer Engagement, Bonin Bough The beauty of real-time engagement often lies in improvisation, it’s also about planning ahead: building the right muscle memory, culture and technological backbone. Erica McClenny is Senior VP of Client Services at social software company Expion, and is responsible for providing strategic support and guidance for the company’s major brand clients. For this latest installment of our Smart Social interview series, we spoke with Erica about some of the key challenges, opportunities and trends she has seen emerge through working with this diverse group of brands. 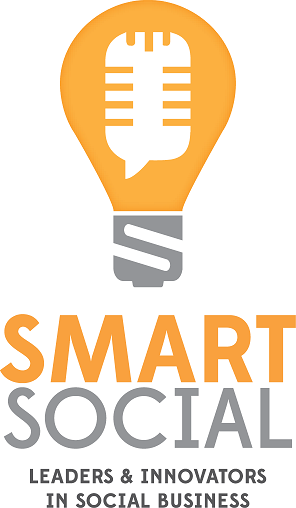 The conversation includes valuable insights for any company embarking on or continuing along the path to social maturity, and concludes with a powerful and practical definition and application of the “smart social” theme. Part One: Erica discusses working with brands in a strategic business development role and some of the specific challenges and opportunities that have emerged during that process, from creating the right operational structure for social success, to not setting yourself up for perceived failure by trying to measure against a running stage when in reality you are only crawling. Part Two: Erica discusses social media-driven and empowered employee advocacy as a means for providing a valuable and trusted extension of brand voice, while also allowing individual employees to serve in a valuable lead generation role. 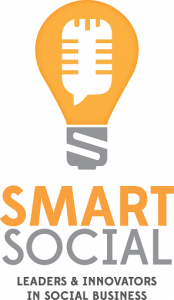 Part Four: We conclude the conversation by focussing back on the “smart social” theme and Erica shares a powerful and practical definition of what smart social means to her.